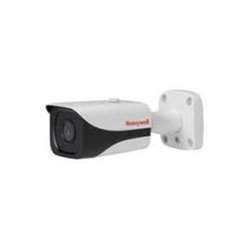 Honeywell Video HB74HD2 TDN Indoor/Outdoor IR Bullet Camera, 1/3" 2 MP CMOS, 1080p, 30 fps, 3.6 mm Fixed Lens, 24 IR LEDs, 12 V DC, NTSC. Supercharge your analog security system with Honeywell's HQA technology for high definition 720p/1080p images over your existing coax infrastructure. The Performance Series HQA line includes a wide range of high performing IR cameras that are easy to install and even easier to use. The HB74HD2 and HB75HD2 cameras are cost-effective surveillance solutions suitable for both indoor and outdoor applications, including schools, colleges, hospitals, commercial sites, industrial parks, airports, gated entrances, loading docks, and driveways.